Another event down, another injury bug gets its licks in. Robert Whittaker pulled out of his middleweight title defense with Kelvin Gastelum at the last minute due to issues related to a hernia. We forgive him because a nasty shot to the stomach could be curtains if it connects just right. It did leave the decent match-up of Anderson Silva and Israel Adesanya headlining the card but the undercard…oh God. It’s hard to keep that forgiveness for Robert in tact when you are reminded how abysmal the undercard fights actually were. Very, very bad. Still, it somehow managed to eek out a passable D+ grade. 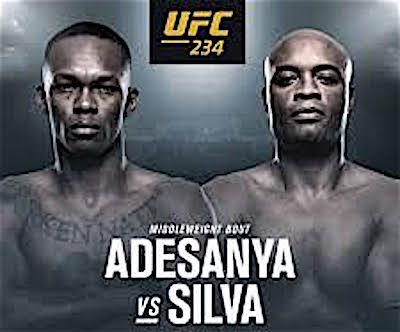 Silva lost by decision to Adesanya but it was a decent bout with some good moments. Check out the post fight press conference highlights.